How to take a nap. There are ways a person can increase their chances of it coming true. Don’t fight your body in this regard. 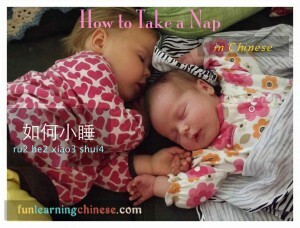 (if) (you) (to need) (one, a) (nap), (forthwith, exactly) (to sleep) (an) (afternoon sleep/nap) (suggestion sound). If you need a nap, just take an afternoon nap! Make sure to take certain precautions. There is another way all this helps you. Sleep helps you feel comparatively young. However, it is not the fountain of youth. No one stays young forever. When I take care of my granddaughter, she always takes an afternoon nap. I have learned to rest during that time. (sometimes) (I) (myself) (even, go as far as) (also) (nap). Sometimes I even also take a nap. I am always glad when I do. I wonder: if I sleep like a baby, perhaps I am young at heart. ❸ Here, the measure word for “nap” is 個 (ge. ), making it clear that napping in a specific instance is being recommended versus speaking generally of napping. 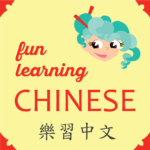 ❹ Here is a link to some things I learned about suggestion sounds while speaking Chinese. 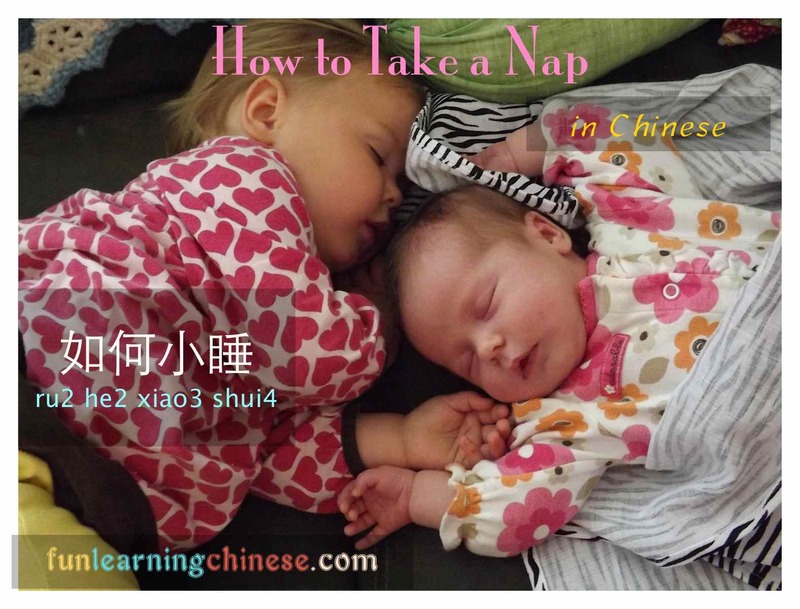 ❺ The word 小睡 (xiao3 shui4), literally “small sleep”means “nap,” but since most people nap in the afternoon 午覺 (wu3 jiao4), meaning “noon sleep” is another common way to speak of it. ❻ While this sentence is speaking of the future, a couple of changes can make it say basically “I didn’t receive (the, your) phone call.” That is done by changing the 不會 (bu2 hui4) to 沒有 (mei2 you3), and adding 到 (dao4) after 接 (jie1). Thus, 我沒有接到電話 (wo3) (mei2) (you3) (jie1 dao4) (dian4 hua4) is (I) (not) (have) (receive arrival of) (phone call). ❽ Without the 會 (hui4) in the sentence, it would imply that she sleeps the whole time I take care of her.